Last week’s New York Times announcement: “Sen. Cornyn’s Amendment Would Pre-empt Listing of Southwestern Lizard,” has received little attention as the media has been more focused on Congressman Weiner—but this is big news, too. For those in Southeast New Mexico and West Texas who’ve been working to draw attention to a little lizard with the potential to kill jobs and hurt the region’s economy, Senator Cornyn’s (TX) actions represent a giant step toward rational thinking. For the past few months, since around Christmas time last year the Fish and Wildlife Service announced the proposed listing of the sand dune lizard as an endangered species, Permian Basin residents have been up in arms about the potential economic damage the listing could have on the area’s two major sources of jobs and revenue: ranching and oil and gas development. The feared impact would be especially hard hitting in the current fiscal crisis and could increase the price of gas as the Permian Basin accounts for about 20 percent of our domestic production. 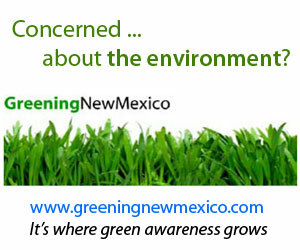 In late April, citizen rallies were held in conjunction with Fish and Wildlife Service hearings in Roswell, New Mexico and Midland, Texas. Spearheaded by Congressmen Pearce (NM) and Conaway (TX), hundreds of people showed up in each city to express opposition to the lizard being listed as an endangered species. Fox News and ABC did several stories spotlighting the rallies and hearings. Texas Governor Rick Perry talked about the lizard listing on Sean Hannity’s radio program. The unprecedented attention the little lizard is receiving is representative of both the economic uncertainty and historic fact. Previously, critters such as the spotted owl or the delta smelt have been listed as an endangered species with no fanfare. Pushed by environmental groups, studies were done and decisions were made declaring them as “endangered,” which creates regulations limiting activity that might hurt the habitat. As a result of the spotted owl’s endangered status, the logging industry in the Pacific Northwest is all but gone. Central California’s delta smelt gained recognition in 2010 when it was used as a bargaining chip in the healthcare debate. Meanwhile, water to farmers in the San Joaquin Valley—who produce 50 percent of America’s fruits and vegetables—was severely restricted. Fertile farmlands became dustbowls and thousands of jobs were lost as a result of the delta smelt’s endangered status. The handwriting is on the wall for those whose jobs depend on economic health in the Permian Basin. The grassroots response has created a political environment that made Senator Cornyn’s actions possible. The New York Times states, “Texas GOP Sen. John Cornyn has filed an amendment to stop the Fish and Wildlife Service from offering Endangered Species Act (ESA) protection to a 3-inch lizard, saying the agency’s action would cripple the oil and gas industry in West Texas.” The amendment to the Economic Development Administration Authorization Bill (S782) specifically exempts the sand dune lizard from the Endangered Species Act. While Senator Cornyn’s comments about the potential impact of the lizard listing only address Texas, the same could be said for New Mexico. It is doubtful that Cornyn would have taken such a stand two years ago, but now the public has become aware of the danger these ESA listings pose to jobs and the economy. They have fought hard and have garnered the attention of the senator. Environmental groups, such as the Center for Biological Diversity and WildEarth Guardians, are behind many of the ESA listings. According to research conducted by the Budd-Falen law firm of Cheyenne, WY , from 2000 to 2009, just nine environmental groups, including WildEarth Guardians, filed 3,313 cases against the federal government for “enforcement” of environmental statutes. About the lizard, Center for Biological Diversity ecologist Jay Lininger says: “Oil and gas activity and their associated roads and infrastructure—as well as ranching activities—that convert habitat to grasslands, destroy places where the animal can live, and it really has nowhere else to go.” Yet, he also claims that the lizard listing will not “affect the oil and gas economy whatsoever.” John Horning, from WildEarth Guardians states: “The lizards don’t have a problem with pumpjacks.” So, oil and gas—plus ranching—is the problem, yet, it isn’t? Senator Cornyn’s amendment brings the job-killing economic impact of endangered species listings to the forefront. The Senate is expected to vote on the amendment this week. An attorney for the Center for Biological Diversity thinks: “It is highly unlikely Senate Majority Leader Harry Reid will allow a vote on the amendment.” Public pressure prompted Cornyn’s amendment in the first place. We the people can encourage our senators to support the Cornyn Amendment (397) “to prohibit inclusion of the sand dune lizard on the list of threatened species or the endangered species published under the endangered species act of 1973.” It is time to put the needs of America’s citizens—jobs and the economy—first. Marita Noon is the executive director for Energy Makes America Great Inc. and the companion educational organization, the Citizens’ Alliance for Responsible Energy (CARE). Together they work to educate the public and influence policy makers regarding energy, its role in freedom, and the American way of life. Combining energy, news, politics, and, the environment through public events, speaking engagements, and media, the organizations’ combined efforts serve as America’s voice for energy. www.EnergyMakesAmericaGreat.org. Marita Noon. Thanks for reading!